Sara: Here we see that the front door of the house has completely disappeared. We were unable to find any trace of it, although admittidly we did not try very hard. And notice the beautiful, yet subtle, wrapping paper/wallpaper in the front hall. 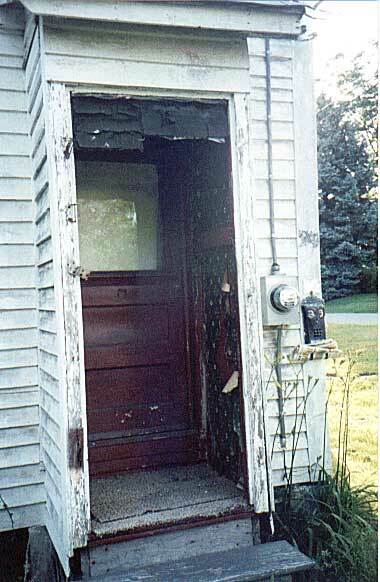 Chris: OK, so maybe the doorway was a little tattered. Your door probably has a few nicks on it too. Casey: The Grand Foyer. So grand, in fact, that it encompasses the entire world.